Simple to buy. Easy to customize. Add a new Cisco Spark cloud-based phone system. Or ask us about Cisco Hybrid Services and connect your existing Cisco phone system and its hardware to Cisco Spark. Cisco Spark includes a cloud-based phone system. 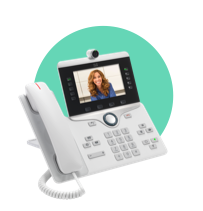 With Cisco Spark, you can make calls to any other Cisco Spark user in any company via SIP dialing, as well as calling regular landline and mobile phones via the PSTN1. You can make and receive calls from a phone connected to the Cisco Spark service in the office or from the Cisco Spark app on your mobile phone or desktop. 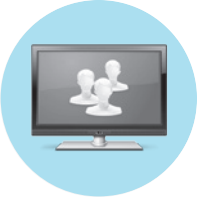 The Cisco Spark service delivers a powerful set of communications services for all the ways you need to communicate. Maybe you’re a startup business with an ad hoc solution, or you have an outdated key system or PBX and want to upgrade. Perhaps you’ve already made the move to IP or deployed a cloudbased service and want to expand your capabilities even further. Cisco Spark will take your communications to the next level by providing the benefits of a complete business collaboration service for everyone in your company: one service, one experience, for everyone. 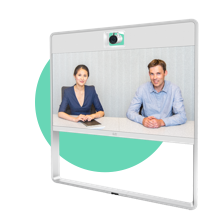 Use the Cisco Spark whiteboard capability from any device, whether you’re together or apart. 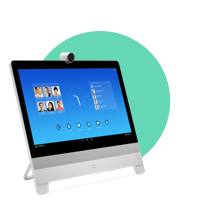 For meeting rooms the Cisco Spark Board is a presentation screen, a digital whiteboard, and a video conferencing system connected to the Cisco Spark service. Anyone in any meeting or team space can participate with you and help the creative process. Hold more effective meetings with sync-ups, discussions, and preparation ahead of time. Get access to content and discussion threads during meetings. Review, follow up, and take quick, informed action after meetings. Enable connected digital experiences for customers. Extend customer care beyond the traditional contact center to the entire organization. Provide personalized care for your external and internal customers. Focus IT resources to move them from being a cost center to a platform for innovation and growth. Improve company culture by working smarter from anywhere and connecting and engaging employees. Meet business demands by working faster and smarter, controlling costs, and maximizing resources. Using Cisco Spark Hybrid Services, customers can connect their existing Cisco call control (such as Unified Communications Manager, Business Edition 6000 or 7000, or Cisco Powered™ HCS services) to the meetings and messaging services hosted in the Cisco Collaboration Cloud. 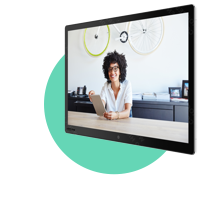 In addition, all phones and video devices supported by the Cisco Spark service provide simple registration and connection to the Cisco Spark service in the cloud. 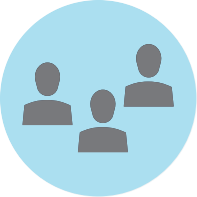 Download the Cisco Spark Datasheet (PDF). 1 The Cisco Spark service doesn’t include PSTN services. Customers need to purchase PSTN services from a third-party provider. 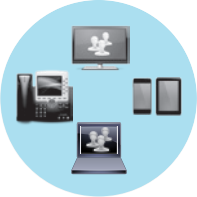 For the complete Cisco Spark service, Cisco preferred media provider ecosystem partners can provide PSTN local, long-distance, and direct-inward-dial services. Existing Cisco Unified Communications customers will use Cisco Spark Hybrid Services to connect on-premises call capabilities to Cisco Spark capabilities in the cloud.